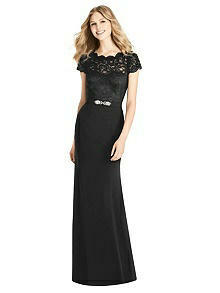 Assemble a fashionable wedding party with this full-length crepe bridesmaids dress with sweetheart neckline. 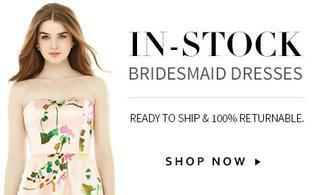 An hourglass shape flatters and shows off a marquis lace cap sleeve bodice with a keyhole back, while a trumpet skirt offers proportion and a flowing look. Beading in silver.